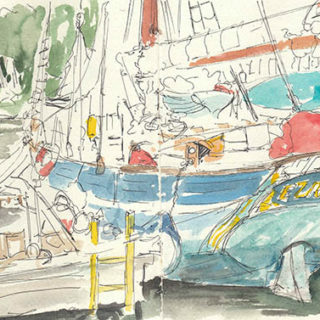 On June 18 2015, I set sail from Penryn with the crew of ‘Ezra’, a 44’ wooden Pilot Cutter, heading for the Arctic. 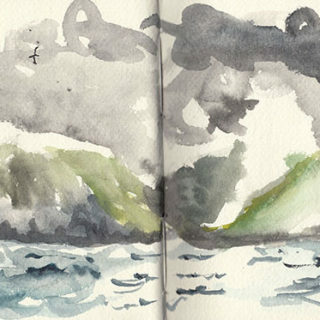 We visited the Faroes and Iceland en route for Scoresbysund in East Greenland. 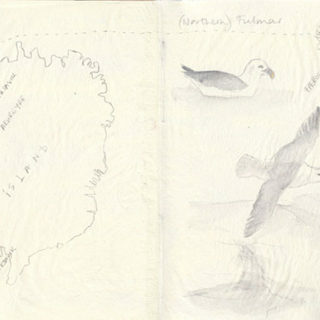 Never having sailed before, I learnt to crew whilst recording the journey as official expedition artist. 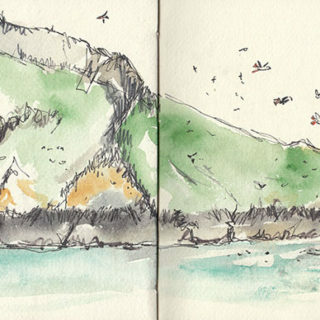 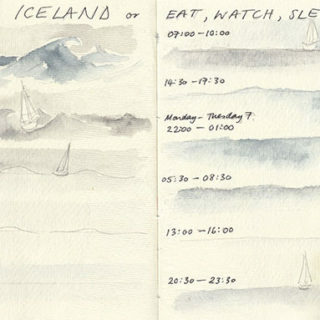 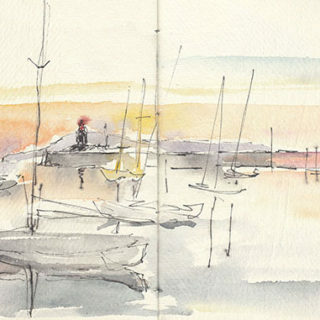 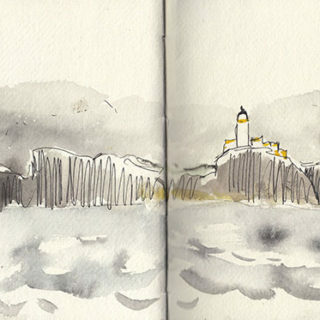 I took photos and sketched life on board in my carnets de voyage. 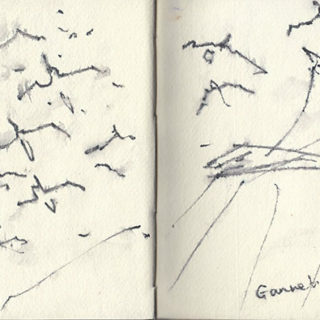 Inspired by the journey, I have been making new work, some of which is in the album ‘Drawn to the North’.